The benefits of medicinal cannabis have been rediscovered over recent years. Clinical trials and research papers have documented evidence that shows cannabis medicines can treat conditions, such as chronic pain, seizures in children with Dravet syndrome and multiple sclerosis. In the US, medical marijuana is legal in 29 states. 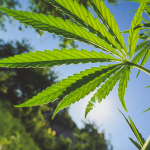 While the Australian federal government passed legislation in February 2016, to allow for the legal cultivation and manufacture of cannabis for medicinal purposes. However, close to two years later, there’s still no domestic products available in this country. 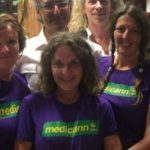 So, it seems slightly amiss that a South Australian woman, who was supplying patients with medicinal cannabis oil for free, should be facing up to 9 years behind bars. Indeed, Jenny Hallam was giving these people in need the same sort of medicine the government is supposedly trying to make available to them. South Australian police raided Ms Hallam’s house in northern Adelaide on January 4 last year. Although, she wasn’t officially charged until three months after the incident, when charges of possession, supply and manufacture of cannabis oil were laid against her. Ms Hallam is set to appear before the South Australian District Court on May 2. Last week, she presented the SA Director of Public Prosecutions with just under 200 letters from patients that she’s helped and supporters calling for her charges to be dropped. But, despite politicians passing laws to make cannabis medicines available, authorities are still punishing artisanal producers who are getting the job done properly in the meantime. In NSW, there have been several high profile medical marijuana busts recently. On December 1 2016, NSW police officers raided Newcastle’s Church of Ubuntu, seizing over two hundred plants. The church was one of the largest providers of medical marijuana products in the country, supplying close to 2,000 patients with these medicines free of charge. 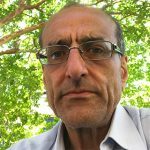 And the northern Sydney home of long-time medicinal cannabis advocate Dr Andrew Katelaris was raided on May 30 last year. The doctor is now being held on remand at Parklea Correctional Centre on charges of possession and having the proceeds of crime. 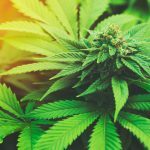 However, over recent years, there have been cases of medicinal cannabis suppliers being treated with more leniency in the courtroom. Take the case of Melbourne couple Matthew and Elizabeth Pallett, who were raided in May 2015. The Pallets were facing charges of drug possession, cultivation and supply. But, the jury subsequently found them guilty of only one cultivation charge. And the judge didn’t record a conviction against their names. While Newcastle medicinal cannabis producer, Malcolm Ronald Lee, who was raided in November 2014, ended up being sentenced to a two year good behaviour bond. Last month, Dr Katelaris’ wife, Maria, said she believes “at the level of the judiciary there’s a great understanding and insight” regarding medicinal cannabis. 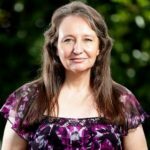 Sydney Criminal Lawyers® spoke with Jenny Hallam about the effect that her cannabis medicines were having on the patients she was helping, her attempts to legitimise what she was doing with the state government prior to being raided, and her hopes that reason will prevail during her trial. Firstly, Jenny, you appeared before the Adelaide Magistrates Court last week. Can I ask what happened at that hearing? I answered the charge at the last hearing, and pleaded not guilty to all charges. And what was the support like on the day? It was good. I had a few supporters there at the court with me. But, I told most people not to worry about turning up, because, I knew it was just another appearance. It wasn’t like the trial had started. Once the trial starts, that’s when the people I’ve helped will start coming, and start appearing as well. We’ve got amazing support, both in the court, and also, through messages and social media. It’s just been astounding. All the news reports that have been done, all the comments on those pages are 99 percent in my favour. So, it’s really good. Now, you were supplying cannabis oil that you produced to patients around the country free of charge. How many patients were you helping with their conditions? And what happened to them once they couldn’t obtain cannabis medicines from you anymore? I was helping around 300 people. Some were regular, some were every now and then, and some people I had helped were fixed up. They got rid of their cancers or whatever condition they had. So, they didn’t need treatment anymore. There were quite a few of them. After I was raided, I had to train other people, and find other people that would help look after them. But, you actually began producing cannabis medicine initially for your own ailment. Can you tell us a bit about how you came to start using the medicine? And why you found it a better alternative to the licit medicines that doctors are now prescribing? I had a car accident, when I was only 20 years of age. 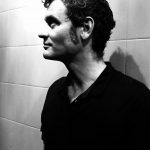 So, I was in chronic, body-wide pain from 20 years onwards. I was told I wouldn’t work again, and that I wouldn’t have kids. I was told that I would be in pain for the rest of my life. I was put on a few different drugs. And I was eventually put on a slow-release morphine. So, I was on morphine, Endone, shots of pethidine in the legs, Mersyndol: basically, every drug they could give me. Plus, all of the antidepressants, because once you are in chronic pain you start getting depressed. It got to the point that I’d been on morphine for about 15 years. And I was just getting worse. I got down to about 38 kilos. My doctor said, “I don’t know what else to do. We can’t get any weight onto you.” It was getting to the point that I was about to be hospitalised. And nobody knew what to do. Some mates came over and they smoked weed at the time. So, they gave me a smoke. I’d tried it when I was younger, so I knew what it was like. I just had a smoke, and straight away I felt hungry. I hadn’t been able to eat. I had no appetite. I felt nauseous all the time. Straightaway, the nausea went. I ate a full meal for the first time in about two years that night. And I slept a full night. I hadn’t been sleeping. I could not believe the difference. So, I just kept smoking it after that, for a little while. Then I found out about Tony Bower, and how he was making an oil out of it. And I thought, that’s even better. I contacted him, but, he wasn’t able to help me at the time. He could only do kids. It took me about 5 or 6 years of just watching. I got into the online cannabis community in early 2014. And then, I met a woman from Canada. She told me about how a couple of people over there were doing infusions with coconut oil. She managed to get me the recipe for it. And I tried it. But, then I improved the recipe a little bit, and changed it around. I started using it. And I had almost instantaneous results, after the first dose. I couldn’t believe it. It was absolutely amazing. I went off all my medication, with my doctors watching me. It took about five months to get off everything – all my pharmaceutical medications. I had been on morphine for 15 years. My pain level was 6 out of 10 resting pain. And that’s high pain levels to have. So, I was just doing cannabis oil. And once I got better, my friends and family around me would look at me and say, “What are you doing? You look amazing?” So, I told them what I was doing. I had heaps of it, because when you make it, you tend to get a bit of it. It would go off after a certain amount of time. And I was just chucking it away. People would say to me, “Can I try some?” And I’d say, “Yeah, alright.” They were close friends and family. They’d try it, and then, they would get better. They’d be having miraculous results as well. So, then all of their friends and family would notice. And the same thing was happening. It was a small circle of people that I was helping at first. Until, I realised that this is working. No one had ever gotten sick from it. And still to this day, out of all the people I have helped, not one person has ever gotten sick from it. I’ve had it tested through the Pelican Project. They found it to be a safe and very effective oil. I’m happy to have it tested. It’s not like I’ve got anything to hide. I’m quite happy to do that. It just went from there. There was a couple of people that I saw on Facebook. One of them was Ben Oakley. I saw a video of him having a pain spasm, and it was exactly the same as the pain spasms I used to have when I was younger. I couldn’t even watch 10 seconds of it. I was bawling my eyes out, as it flashed me back to when I was 20 and having my pain again. It took them a while before they decided to give it a go. But, I sent some and finally they tried it. I got a phone call out of the blue one night. It was about 11 o’clock. And it was his father, and he was crying. I could also hear everyone in the background. Everyone was talking at once. Finally, they told me that he had one dose, and it had worked immediately, in a way that nothing else had worked before. He kept using it, and he had miraculous results. His pain spasms were going for two hours sometimes. It’s like having a taser held up to your spine. And in the two years since he’s been using it, he’s only had three pain spasms, and they’ve only lasted for a matter of seconds. It has been miraculous for him. It’s astounding how it has worked. The police raided your home in January last year. But, prior to that, legislation had been put in place making medicinal cannabis a legal drug in Australia under certain circumstances. How do you feel about facing up to 9 years imprisonment for basically giving away medicine to sick people for free, while the government is supposedly trying to set up a system where that same medicine can be made available to those same patients? It’s atrocious, what they are doing. They’ve said it’s legal. And all I’ve done is try and keep people alive in the interim, until their legal product comes through. Because, people don’t get a second chance at life. They only get one go. So, those people, if they are dead by the time the legal product comes in, it’s not any good for them. All I’ve done is try and keep those people alive. And I’ve done it safely and effectively. I would never have continued if I’d hurt even one person with my oil. If one person had been sick from my oil, I would have stopped immediately, and never would have helped another person. But, I had only ever had excellent results, like getting rid of cancers, and kids with brain tumours, who were going to die within 3 or 4 months, and are now are alive 2 years later. These sorts of results are why I kept going. I’m very frustrated with the government. Especially, considering here in South Australia, I tried for 3 years to get an appointment with our health minister to try and do it in the proper way. I spoke at two parliamentary roundtables, where the government didn’t even turn up. The opposition turned up, as well as independents. But, the government didn’t. So, I have tried since 2014, to meet with the health minister, to work with this government and organise access for people in this state. And they’re refused to speak with me about it. If they had actually worked with us in the beginning, I would never have had to go to this length to keep people alive. Steve Peek is a man from Brisbane, whose young daughter was relying on your cannabis oils to prevent her seizures. He has said that he’d been in contact with South Australian police officers following your arrest, and they’d told him that they knew what they had done was the wrong thing, but they had no choice as somebody had put in a complaint. Is that how you feel about the South Australian police, that they had no choice but to raid and arrest you? Definitely. I don’t blame it on the South Australian police. They were just doing their job. And I know they’re feelings on the matter. I’ve spoken to many of them. I’m on bail conditions, where I have to report every time I leave the state. So, I’ve spoken to many of them on many occasions. And I’m supported by all of them. They all think that what I did, in essence, was morally the right thing to do. And they can understand why I did it. But, they also have a job to do. I understand that they had to uphold that job, and the law. And so, I respect them for that. I don’t blame the police. But, I think they do need to start using their discretion. And maybe, it’s time for the police to start saying to their superiors that they don’t want to carry out these raids. And that they don’t believe that it’s in the public interest to do so. It would be good if we could have some more support from the police, but, we understand why their hands are tied in this situation. The Turnbull government passed legislation close to two years ago, allowing for the local cultivation and production of cannabis for medicinal purposes. Almost 12 months ago, health minister Greg Hunt announced a fast track cannabis medicine importation scheme. But, there’s still no domestic product available. And there’s less than 300 patients around the country who can actually access the imported medicines. What do you think about the federal government’s attempts to set up a legalised medical marijuana system? They’ve deliberately tried to stall it, to be quite honest. By putting it in the hands of the states for access, that completely slowed everything down. And they knew that it would. To be quite honest, we think Turnbull has his own personal interest in this, as he and his wife have lots of financial interests in pharmaceutical companies. We believe he is trying to slow it down. And that he has done this by instructing Greg Hunt to put it in the hands of the states, and basically, slow the access down. We also know that Greg Hunt, after promising that he would try and get access through as fast as possible, when they had the first vote for category A last year in the Senate, he actually sent letters to all of the senators telling them to vote against it. I have some of those letters. They were leaked to me. The reasons he gave those senators for voting against it were actually completely wrong. We’re really angry with Greg Hunt. Out of one side of his mouth, he’s telling all of us that he is fast tracking it, and he’s doing all he can. But, on the other hand, we know he’s not. He’s actually doing things to slow it down. The way that the whole structure is set up with the TGA having control of a lot of the prescription applications, they’re causing a lot of problems. At every level, people are getting stopped from getting their applications processed. We have in this country, less than 300 people that have been given prescriptions, and have the access to get cannabis oil. Not that a lot of them have been actually able to do it, because the cost is so outrageous. It works out about $4,500 for some people. Even though, some people have a script, they can’t necessarily access it. That’s 300 people out of the whole of Australia. And we know that, thousands of people are wanting to access this. We know this, as we are getting messages from the majority of them. Most people out there are frustrated. This is why the government aren’t serious about it, because they aren’t educating the doctors. If the government was serious about cannabis coming out as a medicine, and they weren’t trying to stall it, then, they already would have rolled out education programs to all the doctors. It would have been an immediate thing that was done. We know that David Caldicott, from ACTINOS Project, already has a program set waiting to go. He has said to the government, “I have got an education program for doctors. It is ready to go. You need to give me permission to roll it out.” And they refused to give him permission. We know that they are stunting the process. We know that they are deliberately holding us back. And we know that this is because of the pressure coming from pharmaceutical companies. In America, when it came through over there, they didn’t know the financial repercussions of what would happen. They didn’t know how many people were going to get off pharmaceutical meds, and onto cannabis. Now, that they’ve seen the results, they are desperate to stop it coming through here. That’s why they won’t let us have the same sort of structure, and the same sort of modelling, as they are having in the US. Because, there is just so much freedom over there. New Zealand has just announced that it will be setting up its own legalised system of medicinal cannabis production. In the meantime, they’re going to permit terminally ill patients to smoke illegal cannabis. In Australia, there’s thousands of people using cannabis medicines, even though they’re illegal. Do you think they’re ought to be some sort of interim measures put in place, while the legalised system gets up and running? Definitely. We’ve been calling for an amnesty for the last couple of years. An amnesty for people who are needing to use it. It doesn’t mean that you can just say to everybody, “You all have free range to use it.” We can say that you need to have a letter from your doctor, or something like that, to make it more of a proper process. But, we need to do something. There are people still being arrested to this day, just for having a small amount of cannabis on them for their own medical use. And these people are sick people – people with cancer, people who are dying. I’ve even heard a report of someone just recently, who was in hospital and had the police come in and seize the cannabis that they had. It was just stuff they were using after a cancer treatment. This is not fair. These are sick people, who are doing whatever they can to get themselves through, until this legal product that we keep being promised is out there, and is accessible. This is the thing that makes us even more annoyed. If they hadn’t said medicinal cannabis is legal, and you can just go and see a doctor, they wouldn’t have all of these problems. Just the fact that they won’t tell people who the specialists are who can prescribe it, shows that this is ridiculous. We can’t even find out who the doctors are to get a prescription from. You just have to trip over one and find them. This is insane. This is why we know the government isn’t serious. And these sorts of things are what we think the government are deliberately putting in place to make it difficult for us. And do you have concerns that when legal cannabis medicines do become available that they won’t be as beneficial as the products that are available illegally today? Are you worried that synthetic or pharmaceutical cannabis products will be inferior compared to what’s now available? Definitely, that’s a huge fear that we all have. We already know that the pharmaceutical versions that they have made – such as Epidiolex and Sativex – aren’t anywhere near as effective. Because, they are isolating the cannabinoids and using them individually. That’s the way pharmaceutical companies can make more profit, by isolating them, so rather than just having one product, they can charge for five different products. We know that what they’re doing is basically failing. The Epidiolex that they already use is only 10 percent effective in epilepsy cases, yet that is the one they are using for the epilepsy trials. We won’t be happy until we get access to a whole plant cannabis product. And we also want the ability for home growing for people. Because, the products they are advertising at the moment, once they come in, are so highly priced. And they won’t be on the PBS at this point in time. So, those poor people, the ones who are really sick, and have been through the medical system already, and tried everything else, like they’ve been told they have to, they are financially ruined. They basically can’t afford to buy the product that they’re going to put out there. The only thing that is going to be acceptable is that people can home grow. And that’s what we are going to keep going for until we can get it. You’ve just touch on it there. But, I’d like to ask, ideally, what sort of legalised medicinal cannabis system would you like to see put in place? How would it work? I’d like to see it, so it has different levels. And the government can benefit at those levels. We can have the large companies growing. They can be paying fees federally. And they can be paying company taxes to the individual states as well. Then, we can have them supplying dispensaries, so people can go and buy a product if they want to, and they have the money to buy it. They’d have to get a prescription from their doctor. Otherwise, we could have a permit system, which could benefit local governments. The local councils could bring in income from the local permits. And they can police those permits as well. 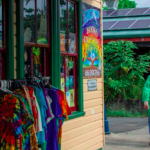 There would be a permit for people that can’t afford to buy products at a dispensary, who can then grow their own products, which would once again, be on prescription. You would need to have a letter from your doctor saying that you need the product. And there would also have to be follow ups to make sure that you are doing the right thing. And lastly, you’ll be in court next May, and you could be facing some pretty serious prison time. However, there have been suggestions that certain members of the judiciary are sympathetic to the medicinal cannabis issue. There have been medicinal cannabis supply cases where courts have ruled with leniency. Do you have hopes that you might face a more enlightened or understanding viewpoint in the courtroom? And how are you feeling about your pending trial? Of course, I’m nervous, because, you never know what people are going to do, and what decisions they are going to make. And also, where they stand on these issues. But, I’m hopeful, because of the changes that we’ve had, and the information that is now coming through about how beneficial cannabis is, and the things that its done. Also, there’s the things I’ve personally done for people. I’m hoping once they see the amount of people and conditions that I’ve helped, along with the medical advancements that have been made because of those treatments, that it will make them more sympathetic and realise that I did it for a good reason. Just the fact that I haven’t charged for the oil, definitely goes in my favour. And I’m hoping that they will look at me kindly because of that. Jenny thanks very much for taking the time out to have this chat with us. And best of luck with your coming trial.